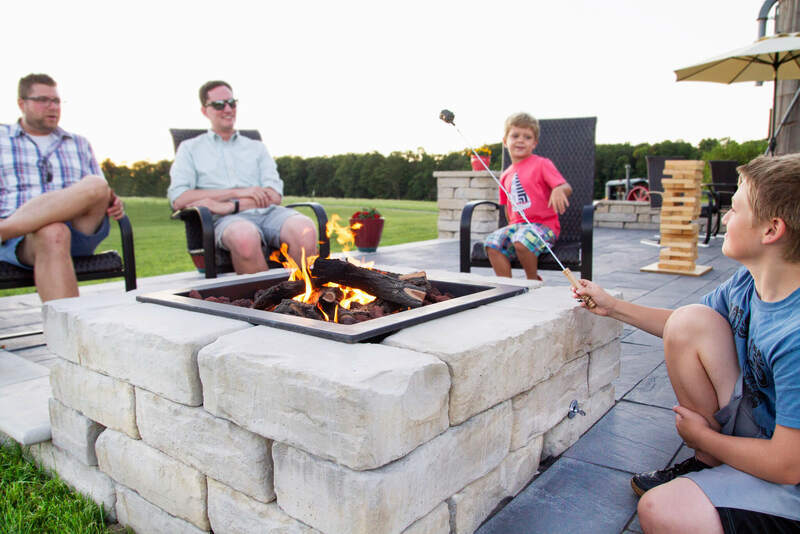 There’s something about a crackling flame that brings people together. 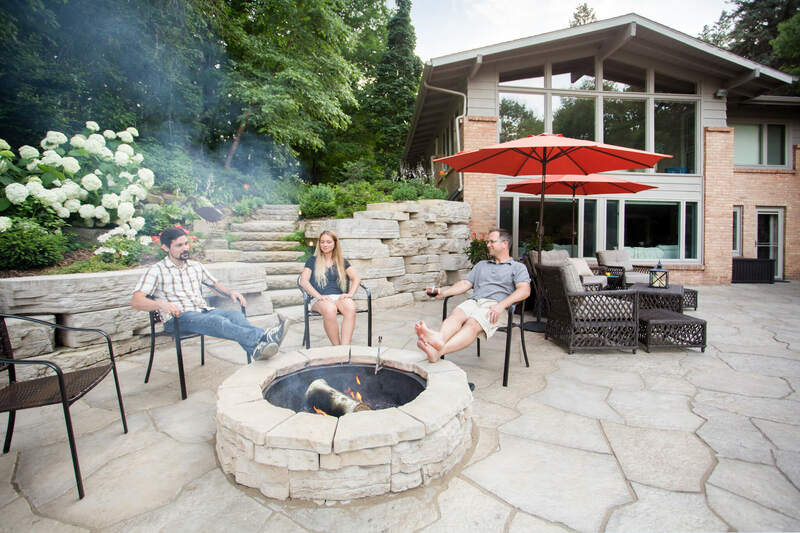 Bring a few of your closest friends and family together with a new fire pit. 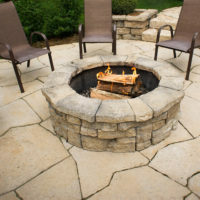 Lee Building Products offers a selection of hardscape products to build a beautiful new fire pit. 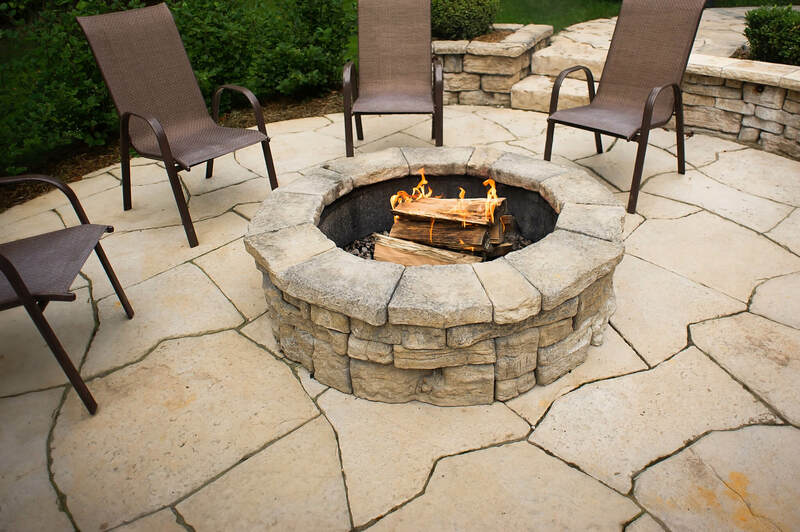 Fire Pit Kit available in 40”x40” box configuration. 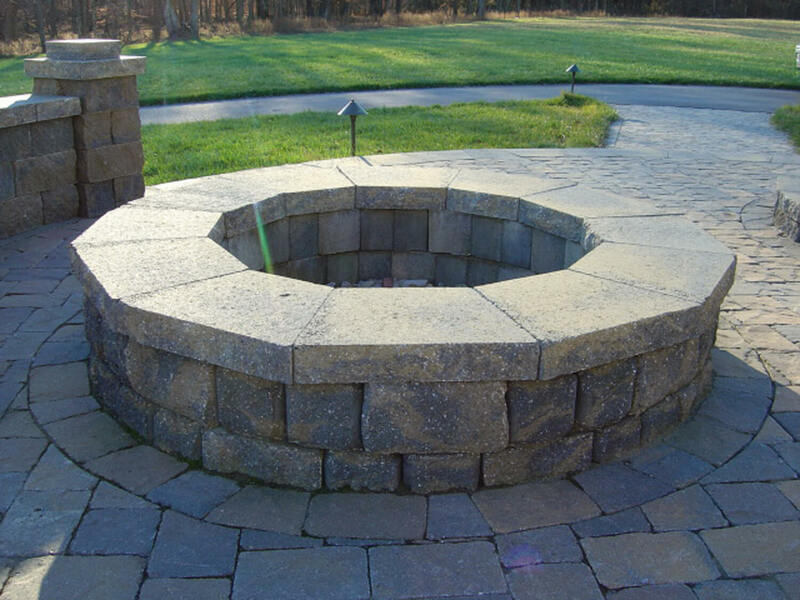 Each kit includes 32 units to build a fire pit four courses (14-inches) in height and can be ordered with or without firebrick bottom or steel grill grate (shown here). Overall weight: 960 lbs. 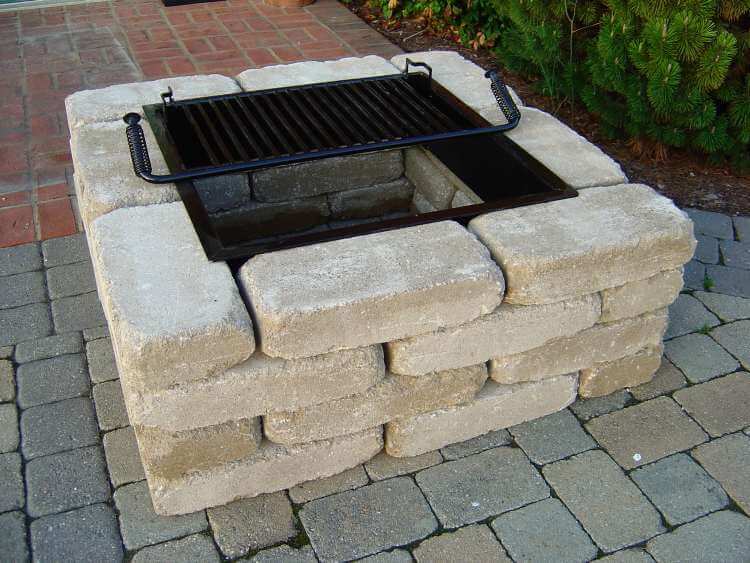 or 1,080 with firebrick and grate. Kit fits on one pallet. 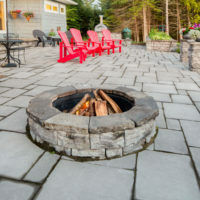 Colors: Dublin Blend (Gray & Charcoal) or Timber (Tan). 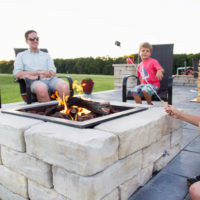 With big, bold blocks that mirror snapped limestone, the Kodah Fire Pit Kit creates a modern, square fire pit that has a natural warmth. 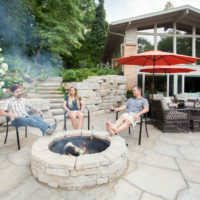 Unlike contemporary metal designs, the wetcast concrete captures the essence of natural stone and creates the warmth you want in your backyard. 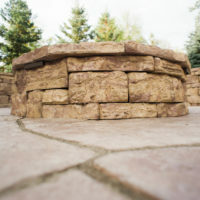 60” Diameter – includes metal ring (42” diameter – Not Shown) and block units for the perimeter.